When a meal is colorful AND delicious, we know we've done a great thing. 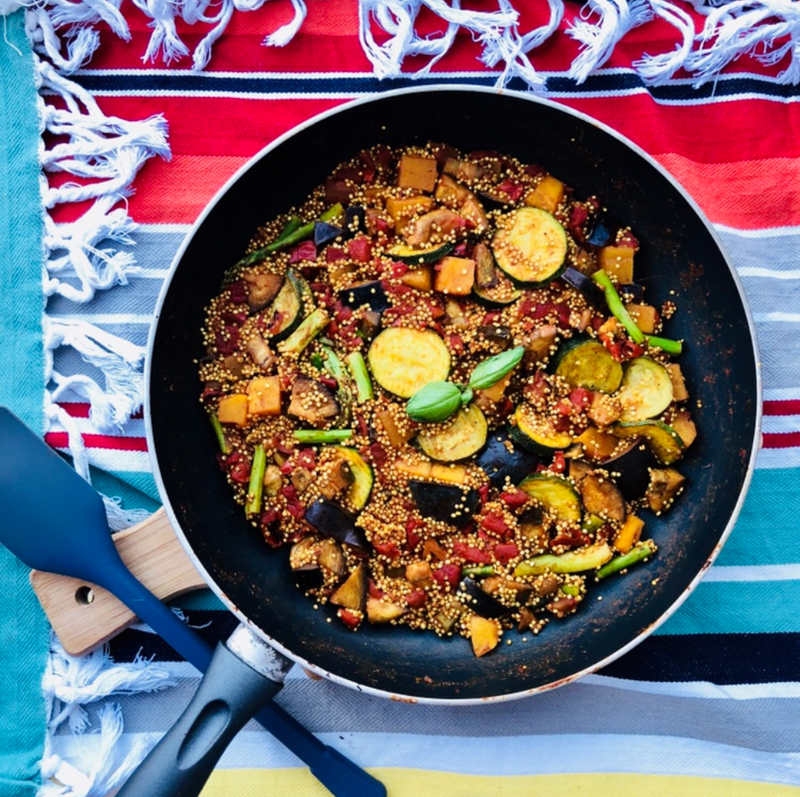 This recipe combines the perfect amount of summer freshness in the form of veggies you can buy at your local farmers market with quinoa - one of our favorite super foods - and black garlic (definitely our favorite super food). One of the biggest reasons we love this recipe, though, is because it plays with the subtlety of spice. It allows the fresh veggies to be the star of the show, which is just how we like it. This is the type of recipe that truly allows black garlic to shine - the unique balsamic flavors allow a tiny hint of sweetness that put this stew over the top. Enjoy! Thanks to Kelly from thekellydiet for this amazing recipe!